The Dimplex 2.4kW Eco 11 Fin Column Heater with Timer is the perfect portable heater to help you beat the cold this winter. 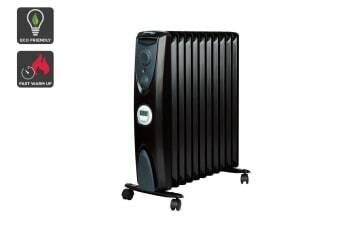 With its lightweight and easily portable design the Dimplex 2400W Eco 11 Fin Column Heater w/Timer is a perfect addition to any home or office. Also, with greater heating effectiveness than the Dimplex standard oil column heaters you will be able to feel warm quicker and stay warm longer.